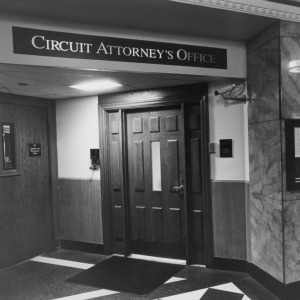 The Circuit Attorney's Office represents the people of the State of Missouri as their chief prosecutor for state-level crimes in the City of St. Louis. The St. Louis Circuit Attorney's Office employs over 60 attorneys, 20 investigators, 10 victim services case managers and over 30 support staff. Each year we review over 15,000 cases and prosecute approximately 3,000 to 4,000 felonies (crimes punishable by more than a year in prison) and 2,000 to 3,000 misdemeanors (crimes punishable by less than a year in jail).